Step into Grace where strangers become friends. 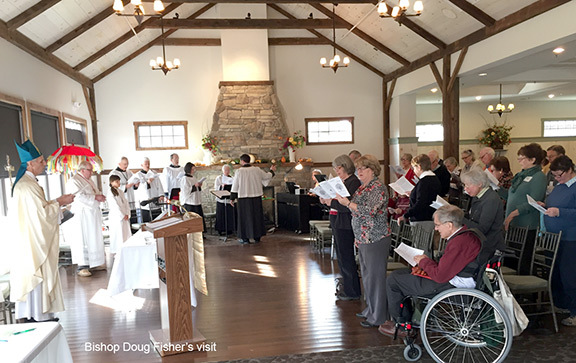 Our Sunday Worship (at Crissey Farm, 10:00 am) is a mixture of ancient and modern. The music can be traditional or eclectic but it is always carefully chosen, lively, and spirit filled. We joyfully welcome all into our secular space that we make sacred every Sunday by our presence, prayer, art, and song. Dress casually and bring your children who can attend Sunday School during worship service. Later in the service they will receive a special blessing at the altar. Come and be nourished by our community and worship. 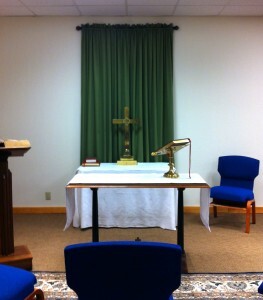 Our communion table is open to all. Join us in our journey to live out the Gospel message of love, service, forgiveness, and justice. From Massachusetts and points east and north Take the Massachusetts Turnpike (I-90) to Exit 2 (Lee). Follow Route 102 west to Stockbridge. Turn left onto US-7 south for five to six miles into Great Barrington. the Brewery is located at the base of Monument Mountain on the left adjacent the Barrington Brewery and Restaurant opposite the Holiday Inn Express and WSBS radio station. Look for the tall towers of the radio station. From Albany and points west Take the New York State Thruway (I-90) to Exit B3 (Canaan, NY). Follow Route 22 south for 0.7 miles and turn left onto Route 102 east. Stay on Route 102 to the center of stockbridge. Turn right onto US-7 south for five to six miles into Great Barrington. the Brewery is located at the base of Monument Mountain on the left adjacent the Barrington Brewery and Restaurant opposite the Holiday Inn Express and WSBS radio station. Look for the tall towers of the radio station. For sermons preached by the Rev. Dr. Janet Zimmerman, Rector click here. For our weekly newsletter, click here.